The U.S. Court of Appeals for the Second Circuit has finally issued its long-awaited decision in Capitol Records v. ReDigi. The Second Circuit affirmed the district court’s finding that the ReDigi service, which allowed the resale of iTunes files, infringed copyright. The Second Circuit’s reasoning clearly closes the door on the concept of digital first sale in a commercial setting. It also raises questions concerning the viability of Controlled Digital Lending (“CDL”) by libraries. Accordingly, CDL initiatives must be carefully reevaluated in light of this decision. The Second Circuit affirmed that the first sale right, codified at 17 U.S.C. 109(a), is a limitation on the distribution right, not the reproduction right, and thus does not provide a defense to the making of copies during the course of the sale of digital files. The court rejected ReDigi’s argument that its technology transferred digital files without reproducing them. The court rejected ReDigi’s argument that fair use permitted any copies it made. The decision could be read as implicitly rejecting the cornerstone of CDL’s fair use argument: that the first sale right should have a positive influence on the analysis of the first fair use factor. Libraries need to consider whether their CDL programs are likely to pass muster under a more traditional fair use analysis that does not rely on section 109 exercising a positive influence on the first factor. The now defunct ReDigi service allowed a consumer to sell iTunes music files to other consumers. Under ReDigi’s technology, the music file on the seller’s server was broken into small packets, which were transferred one at a time to ReDigi’s server. When a packet was transferred from the seller’s computer, it was deleted from her computer. The same process was repeated when the file was transferred from ReDigi’s server to the buyer’s computer. Capitol Records and other record labels sued ReDigi for copyright infringement. In 2013, the district court rejected ReDigi’s first sale defense on the grounds that the first sale doctrine is an exception to the distribution right and not the reproduction right, and ReDigi’s technology infringed the reproduction right. Further, the district court rejected ReDigi’s fair use defense with little discussion, noting that ReDigi’s use was commercial, non-transformative, and harmful to the market for music files. The Second Circuit held a marathon two-hour oral argument on August 22, 2017. On December 12, 2018, the Second Circuit affirmed the district court’s decision with an opinion written by Judge Leval, one of the country’s leading copyright jurists. Judge Leval agreed with the district court that the first sale doctrine provided ReDigi with no defense against Capitol’s claim that ReDigi infringed its reproduction right; the first sale doctrine was a limitation on the distribution right, not the reproduction right. Judge Leval then turned to ReDigi’s contention that it had not infringed Capitol’s reproduction right. ReDigi noted that in its system, each packet was deleted from the seller’s computer as soon as it was transferred to ReDigi’s server. Accord to ReDigi, at no time was there a copy of a file on both the seller’s computer and ReDigi’s server. ReDigi argued that this meant that it didn’t reproduce the file, but just transferred it. Judge Leval rejected this interpretation, finding that the “phonorecord”—a defined term in the Copyright Act–that ended up on ReDigi’s server was a different “material object” from the phonorecord that had existed on the seller’s computer. Additionally, Judge Leval observed that as a factual matter, ReDigi could not ensure that a user had not retained duplicates stored on devices other than the computer on which the user installed the ReDigi software. Additionally, Judge Leval stated that a secondary use may be transformative if it expands the utility of the original. Examples of utility-expanding transformative fair uses include scanning books to create a full text searchable database (Authors Guild v. HathTrust); copying works into a database to detect plagiarism (A.V. ex. rel. Vanderhye v. iPardigms); and displaying low resolution thumbnail images to facilitate image search (Perfect 10 v. Amazon, Kelly v. Arriba Soft). Judge Leval found that ReDigi’s use was not transformative because “it provides neither criticism, commentary, nor information” about copyrighted works. Moreover, it did not “deliver the content in a more convenient and usable form to one who has acquired an entitlement to receive the content.” Instead, it just provided “a market for the resale of digital music files, which sales compete with sales of the same recorded music by the rights holder.” Further tilting the first factor against fair use was the commercial nature of ReDigi’s activity. After cursory treatment of the second and third factors, the nature of the copyright work and the amount and substantiality of the portion used, Judge Leval examined the fourth factor, the effect of the use upon the potential market for or value of the copyrighted work, in more detail. Judge Leval noted that ReDigi made reproductions for “the purpose of resale in competition with the Plaintiffs’ market for the sale of their sound recordings.” ReDigi sold its copies “to the same consumers whose objective in purchasing was to acquire Plaintiffs’ music.” Judge Leval also distinguished the resale of physical copies from digital copies. “The digital files resold by ReDigi, although used, do not deteriorate the way printed books and physical records deteriorate.” The only difference between the copies sold by Capitol and the copies sold in ReDigi’s secondary market was that ReDigi’s copies were less expensive. At the end of the opinion, Judge Leval considered an argument raised in an amicus brief by copyright law professors that the first sale doctrine “must be read to vindicate purchasers’ ability to alienate digital copyright works…without regard to technological medium.” Judge Leval expressed reluctance to wade into this policy argument. “Courts are poorly equipped to assess the inevitably multifarious economic consequences that would result from such changes of law.” Furthermore, reading section 109(a) to accommodate digital resale “would exceed the proper exercise of the court’s authority.” Here, “Congress dictated the terms of the statutory entitlement.” Section 109(a) clearly “negates a claim of unauthorized distribution in violation of the author’s exclusive rights…but not a claim of unauthorized reproduction.” Accordingly, “if ReDigi and its champions have persuasive arguments in favor of the change of law they advocate, it is Congress they should persuade. The ReDigi decision requires reevaluation of CDL initiatives. The decision is the most analogous precedent to library sharing of digital files of copyrighted works. To be sure, a library would engage in CDL for noncommercial educational purposes, in contrast to ReDigi’s clearly commercial motivation. Moreover, a library could design its CDL program to make it as different from ReDigi’s as possible. For example, the library might engage in CDL only with respect to out of print scholarly monographs. Nonetheless, libraries cannot ignore the long shadow cast by the decision. Furthermore, the decision calls into question the theoretical underpinnings of CDL. Specifically, CDL relies on the fair use right to replicate the first sale right in the digital environment. Judge Leval’s decision, however, could be read to suggest that the objectives of the first sale right cannot guide the fair use analysis. The Library Copyright Alliance (“LCA”) filed an amicus brief in support of ReDigi, where we argued that the similarity between the use ReDigi sought to make and uses authorized by section 109(a) should have tilted the first fair use factor in favor of ReDigi. We noted that in Authors Guild v. HathiTrust, the Second Circuit used the rationale for a specific exception—17 U.S.C. § 121, which permits the making of accessible format copies for people who have print disabilities—to support a finding of a valid purpose under the first factor. Likewise, the Copyright Office has repeatedly based fair use conclusions on specific exceptions in the context of a rulemaking under section 1201 of the Digital Millennium Copyright Act, 17 U.S.C. § 1201. We urged the Second Circuit to recognize that the purpose behind the first sale right favored ReDigi in the first fair use factor analysis. Unfortunately, Judge Leval did not address this argument. The lack of reference to this argument is somewhat surprising given that it was based on the Second Circuit’s reasoning in the HathiTrust decision, and that the Association of American Publishers filed an amicus brief specifically responding to LCA’s brief. Moreover, fair use was the obvious means of addressing the policy concerns raised by the copyright law professors in their amicus brief. Fair use could achieve the objectives of the first sale doctrine in the digital environment without Congress amending the statute. In one passage, Judge Leval arguably disagreed with this argument. When responding to the law professors’ suggestion that section 109(a) be interpreted to apply in the digital context, Judge Leval stated “the copyright statute is a patchwork, sometimes varying from clause to clause, as between provisions for which Congress has taken control, dictating both policy and the details of its execution, and provisions in which Congress approximatively summarized common law developments, implicitly leaving further such developments to the courts. The paradigm of the latter category is § 107 on fair use.” This could be interpreted to imply that specific exceptions should not influence the first factor analysis—that specific exceptions and fair use should each stick to their own lanes. On the other hand, by not rejecting it, Judge Leval arguably allowed the argument to live to fight another day. Additionally, Judge Leval’s copyright patchwork argument really doesn’t make much sense. The first sale right is a judge-made doctrine which was codified in section 109(a), just as the fair use right is a judge-made doctrine which was codified in section 107. Thus, it is completely appropriate for a court to consider the principles underlying the first sale right when applying the fair use right. This, of course, is the same theory LCA articulated in its amicus brief. LCA still believes this theory is correct, and will continue believing in its correctness unless and until the Supreme Court explicitly rejects it. However, Judge Leval’s failure to even acknowledge the theory when he had the opportunity to do so should cause libraries to reevaluate their CDL initiatives. In particular, they need to consider whether their CDL programs are likely to pass muster under a more traditional fair use analysis that does not rely on section 109 exercising a positive influence on the first factor. This entry was posted in Uncategorized and tagged CDL, controlled digital lending, Digital First Sale, fair use, first sale, guest blog, jonathan band, LCA, redigi, second circuit on December 21, 2018 by Krista Cox. On March 15, 2016, the California Assembly amended a Bill, AB-2880, dealing with state intellectual property. Introduced by Assemblyman Mark Stone in late February, the main goal of AB-2880 is to grant local and state governments the authority to create, hold, and exert intellectual property rights. The federal government is prohibited by the Copyright Act from claiming copyrights in any of the materials it creates. As TechDirt explains, the states are free to create their own approach on their copyright policies, and may decide what, if anything, a state can claim copyright in. This bill’s effect is incredibly detrimental, and if it is passed into law, it will deny California citizens the right to free and easy access to state laws and other government works. [T]he need to balance the State’s interest in protecting government publications through the use of a copyright with the public’s right of access to government records . . . . [C]opywriting government publications can be controversial; given that taxpayers already paid once to support the creation of the work, one can argue that they should not have to pay royalties to use or reproduce the written work. While some state officials and legislators note the public policy implications of passing AB-2880, many in the Assembly seem to believe that the bill’s effect on dissemination of information is negligible compared to the benefits of government ownership of government-created intellectual property. The intentions under which AB-2880 was created are well meaning. In early March 2016, an ugly legal battle began between Yosemite National Park and Delaware North, the concessions vendor within the Park that trademarked many of the common names of landmarks and corresponding logos. However, the knee-jerk reaction to the actions of Delaware North by Chairman Stone and the rest of the California Assembly is a disservice to the purpose of intellectual property to “promote the progress of science and useful arts,” as well as to the constituents who rely on the Legislature to provide tax-funded works and laws to the public by default. [C]itizens must have free access to the laws that bind them. This fundamental policy is more compelling now than ever before. Government at all levels continually increases its regulation of the activities of citizens both at work and at home. Moreover, the Internet and other forms of technology, by integrating activities conducted at home with the outside world, are increasing the likelihood that private actions will be subject to legal rules governing the public sphere. Because their activities are more likely to be subject to regulations, citizens have a greater need to have easy access to the law so that they can better understand their expanding legal obligations. As EFF explains, this kind of intellectual property ownership by California would have a chilling effect on free speech, restrict open government, and lodge a massive hit to the public domain. Both EFF and Creative Commons have called California residents to action by contacting their state representatives and demanding that the works created by the state and local government, paid for by tax dollars, remain in the public domain for all Californians to use. A basic government function is to provide citizens with free access to the laws. If this function is not carried out at the state level, or requires a fee or license to view or reproduce these laws, it sets a dangerous precedent. Citizens who are increasingly regulated in their everyday lives have a substantially greater need for simple, cost-free access to state and local laws. To withhold laws and other government works from citizens discourages informed participation in any form of governance, from the town hall meeting to petitioning state legislators for changes in the state laws. In addition, copyrighted government works could result in frequent law-breaking by citizens engaging in what they believe to be innocent activities, simply because those citizens cannot access the laws. Assemblyman Stone may have had good intentions when proposing AB-2880, but what he does not grasp is that this bill has far-reaching, detrimental effects and indeed is counterintuitive to the ideals of American democracy. This entry was posted in Uncategorized and tagged California, copyright, eff, LCA, ownership, public access, state, state laws on May 25, 2016 by Krista Cox. Below are five news highlights on fair use from 2015 as well as my five favorite fair use resources created in 2015 (created for Fair Use/Fair Dealing Week 2015). Second Circuit Affirms Fair Use in Google Books Case. In October 2015, the Second Circuit released its unanimous opinion, authored by Judge Leval, affirming the lower court’s fair use decision in Authors Guild v. Google, also known as the “Google Books” case. The Second Circuit held that Google’s copying of books and display of snippets in a search index is transformative and a fair use. This search and snippet function of Google Books allows for important research, including through text-and-data mining to allow researchers to conduct research that would not be possible without the large searchable database created by Google. Additionally, the Second Circuit found that Google’s provision of digital copies to its partner libraries that submitted the particular work is not an infringement. This digitization of certain works from library collections demonstrates an important partnership, which has allowed libraries to make fair uses of these copies, including to provide access for those who are visually impaired. YouTube Announces It Will Defend Some Creators’ Fair Use Claims. In November 2015, YouTube announced that it will protect “some of the best examples of fair use on YouTube” by defending some creators in copyright litigation. YouTube pledged to indemnify some of its creators whose fair use videos are subject to takedown notices for up to $1 million in legal costs if the takedown results in a copyright infringement lawsuit. This announcement is significant given that fair use provides essential balance to the copyright system, allowing for transformative uses including parody, commentary, criticism and innovation and videos posted to YouTube often rely on this important doctrine. Authors Guild and HathiTrust settle last remaining issue (preservation); Second Circuit decision strongly affirming fair use stands. While the Second Circuit’s decision in the HathiTrust case was released in June 2014, the court did not resolve the issue of preservation, sending that issue back to the district court. In January 2015, the parties entered a settlement on the sole issue remaining issue, ending the litigation in a victory for HathiTrust and fair use. The Second Circuit’s decision found that creation of a full-text search database and providing access to the print disabled constituted fair use. In January 2015, however, the defendant libraries stipulated that they complied with Section 108(c) of the Copyright Act and agreed that for a period of five years, if they do not comply with the stipulation, it will notify the Authors Guild, “which, although not a Remaining Plaintiff in this Action, will accept notice.” Authors Guild released a statement after the settlement, noting that it would not seek an appeal to the Supreme Court. Fair Use Fundamentals Infographic. In celebration of Fair Use Week 2015, ARL created this infographic explaining that fair use is a right, is vitally important, is for everybody and is everywhere. A Day in the Life of a Legislative Assistant. Jonathan Band authored this document, giving a sample day in the life of a legislative assistant. This sample day shows just how often fair use is relied upon on a daily basis. Video: Fair Use and Technology. Fred von Lohmann explains how fair use is essential to every day technology and how we encounter it on a daily basis. Podcast: Fair Use Protects Culture From Copyright, Not the Other Way Around. TechDirt created a great podcast devoted to the important doctrine of fair use and how it provides an essential balance to the copyright system. 12 Fair Use Myths and Facts. For Fair Use Week 2015, ARL also produced a “Myths and Facts” document on fair use, covering twelve myths about what fair use is and how it can be used. So what’s next for fair use in 2016? First, a reminder that Fair Use/Fair Dealing Week 2016 is quickly approaching and will take place from February 22-26, 2016. A number of organizations and institutions are already planning to participate and have great events planned. ARL will be creating a new infographic, hosting blog posts, and posting new videos on fair use. 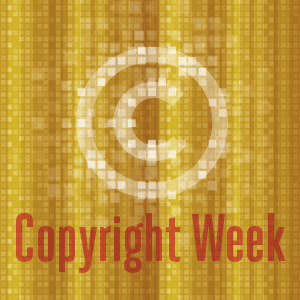 For more information on how to participate or to see the great resources from last year’s celebration, visit the Fair Use Week website. Additionally, the Authors Guild’s Google Books case may not be over as the Authors Guild filed a petition for writ of certiorari to the Supreme Court on December 31, 2015. However, the Authors Guild’s petition does not appear to be a particular strong one. Despite the Authors Guild’s claims that there is a circuit split on the meaning of transformativeness, it is not clear that the six circuits cited have actually split on the issue as the facts of the cases differ significantly. Furthermore, the argument that the Second Circuit has shifted to a one-factor test is clearly unsupported by the court’s October decision; the Second Circuit carefully analyzes all four factors. In fact, Professor Jane Ginsburg noted in her article, Google Books and Fair Use: From Implausible to Inevitable? that the Google Books decision is probably not worthy of Supreme Court review. She stated that the decision “probably surprised no one” and that “courts came to interpret Campbell’s reference to ‘something new, with a further purpose’ to encompass copying that does not add ‘new expression,’ so long as the copying gives the prior work ‘new meaning.’ Fair use cases began to drift from ‘transformative work’ to ‘transformative purpose,’ in the latter instance, copying of an entire work, without creating a new work, could be excused, particularly if the court perceived a sufficient public benefit in the appropriation.” Ginsburg acknowledges that courts have interpreted transformativeness to include a transformative purpose and does not cite any circuit split on this issue. She also pointed out that the Second Circuit’s opinion was restrained and did not expand the fair use doctrine. If the Supreme Court declines to hear the Google Books case, the Second Circuit’s decision will stand. 1. Please provide any insights or observations regarding the role and effectiveness of the prohibition on circumvention of technological measures in section 1201(a). 3. Should section 1201 be adjusted to provide for presumptive renewal of previously granted exemptions—for example, when there is no meaningful opposition to renewal—or otherwise be modified to streamline the process of continuing an existing exemption? If so, how? 8. Please assess whether the existing categories of permanent exemptions are necessary, relevant, and/or sufficient. How do the permanent exemptions affect the current state of reverse engineering, encryption research, and security testing? How do the permanent exemptions affect the activities of libraries, archives, and educational institutions? How might the existing permanent exemptions be amended to better facilitate such activities? 9. Please assess whether there are other permanent exemption categories that Congress should consider establishing—for example, to facilitate access to literary works by print-disabled persons? The fact that every three years the blind need to expend scarce resources to petition the Librarian of Congress to renew their exemption—or that libraries and educators have to seek renewal of the film clip exemption every three years—demonstrates the fundamental flaw in section 1201. That flaw is that section 1201 could be interpreted to prohibit the circumvention of a technological protection measure even for the purpose of engaging in a lawful use of a work. Congress should adopt the approach proposed by the Unlocking Technology Act of 2013 and its predecessors, attaching liability to circumvention only if it enables infringement. Fair use should apply equally in the digital world and technological protection measures should not be used to limit the fair use right. The fact that every three years, proponents of exemptions must use a great deal of time and resources to seek renewal of or a grant of exemptions to anti-circumvention rules to exercise the fair use rights is problematic and inefficient. This entry was posted in Uncategorized and tagged 1201, Authors Guild, copyright week, dancing baby, dmca, fair use, fair use week, Google Books, HathiTrust, LCA, Lenz, libraries, takedown, TPP, youtube on January 21, 2016 by Krista Cox. Trade agreements that deal with copyright are all the rage. So far they’re mostly used as a way to avoid transparent, democratic processes while ratcheting up protection and locking in the worst aspects of US law. In these comments, LCA suggests the US change its approach and instead look to export user-friendly policies like the recent White House open access order, while eschewing efforts to harmonize our laws with the more draconian laws of Europe. The comments are brief and worth a quick read for anyone interested in the risks that these agreements pose to libraries. Today the Library Copyright Alliance released a statement describing the key features copyright reform proposals should include in order to constitute significant improvement over current law for libraries and their users. In the wake of the recent rejection of the Google Books settlement, interested parties are discussing with renewed vigor the issues of orphan works, mass digitization, and even modernization of Section 108 of the Copyright Act. The LCA statement, which represents the needs of major library stakeholders in these debates, should provide helpful guideposts for these discussions. Libraries have always advocated for reasonable copyright policy, in courts as well as in Congress, and the LCA welcomes renewed interest in these issues in response to Judge Chin’s decision. At the same time, library activities already benefit from broad, flexible protection under the fair use doctrine and related provisions in current law. Therefore, only a clear improvement over the status quo is worth the substantial investment and risk associated with legislative change. The LCA statement describes the status quo for libraries as well as the policies that would constitute substantial improvement. The proposal focuses on exempting libraries from the draconian statutory damages currently available under copyright law. Together with a notice-and-takedown mechanism, this reduction in damages would free libraries to make policy decisions based on the true balance of equities between library use and rightsholder harm, rather than acting under the threat of damages awards out of all proportion to the typically negligible harm associated with library uses. While the future of copyright reform efforts is foggy at best, the LCA statement represents a clear articulation of what libraries need for reform to be worthwhile. This entry was posted in Uncategorized and tagged 108, copyright, gbs, LCA, orphan works on May 16, 2011 by admin.